Teach the student ‘how to read’. Explain correctly and convincingly the concept and importance of OBE system in IHL. OBE has been interpreted in many ways (Killen, 2000). Spady (1994) – OBE means starting with a clear picture of what it is important for students to be able to do; then organizing the curriculum, instruction and assessment to make sure that this learning ultimately happen. 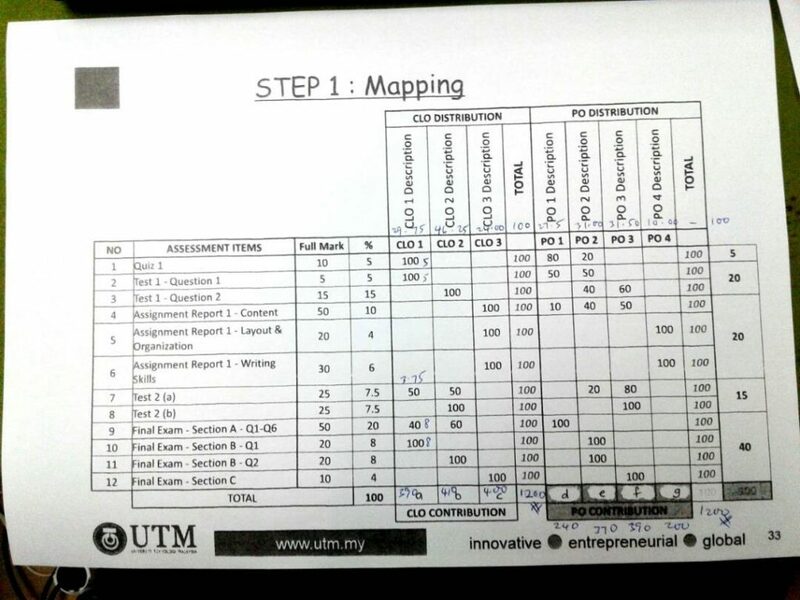 The course map – students need to have a clear picture/expectations. 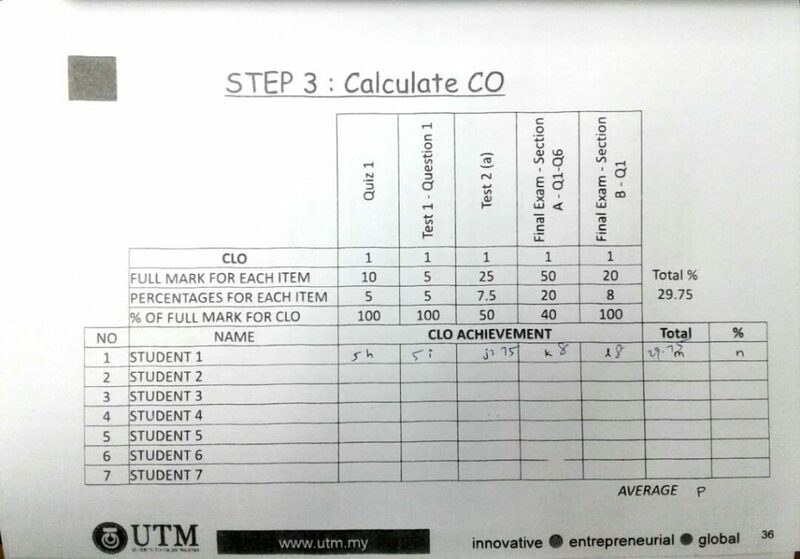 What is the most important LO for your course? 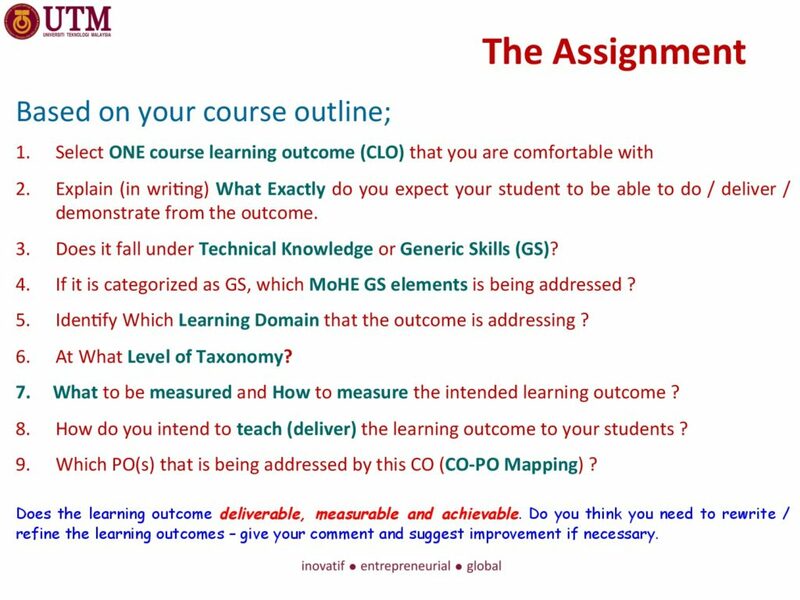 What is the most important thing you want the students to be able to do at the end of the course? Clarity of focus – clearly defined LOs. Designing back – aligning T&L, assessment, infrastructure, quality system to the LOs. High expectation – higher standard, deeply engaged in the learning process. Expanded opportunity – all students should achieve high standard although at different time scale. 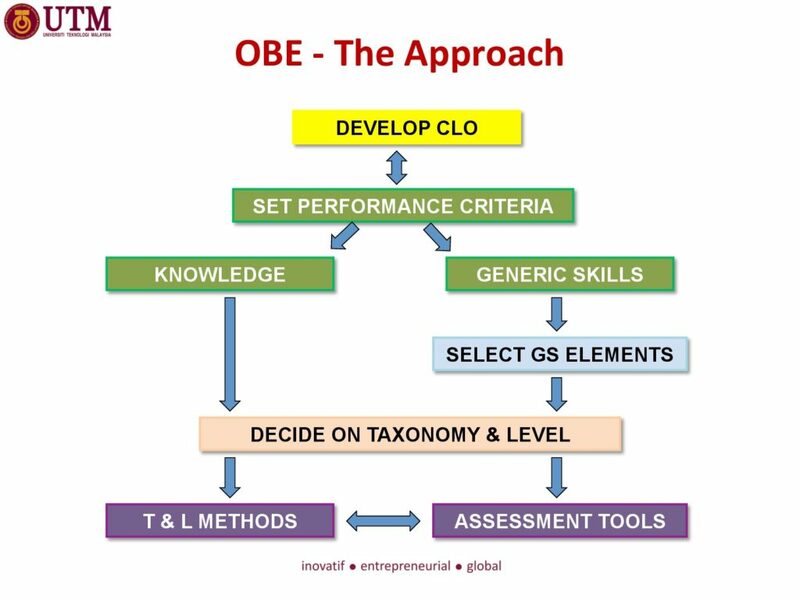 Traditional – lecture centred/content based vs. OBE – Student Centered Learning (SCL). Take the necessary steps to effectively implement OBE in the classroom. (Planning) LO – What I want my students be able to do? (Implementation) instruction – What T&L do I adopt? (Assessment) assessment – Can my student do what I want them to be able to do? Designing OBE curricula (backward design) – start with outcome. Systematic, structured & continuous attention to quality in terms of maintaining & improving quality. Systematic management & assessment procedures to monitor the performance of IHL – plan, do, check, act > plan. 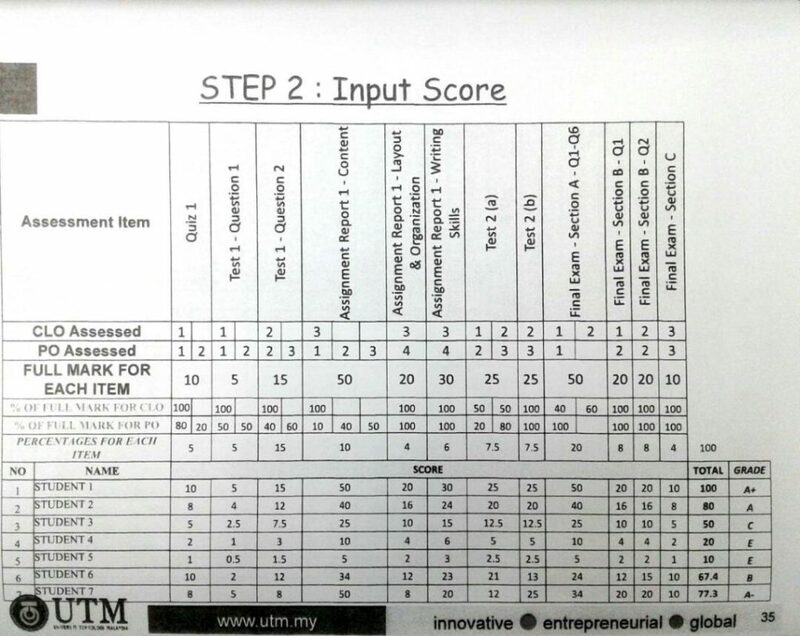 Quality Assurance divided into Internal QA & External QA. MQF document ; Programme Standards ; Code of Practice (COPPA – Programme accreditation, COPIA – Institutional Audit & COP-ODL).